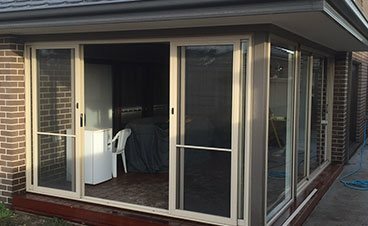 Transform your home by replacing tired old windows and doors with our modern and energy efficient aluminium window and door range. No more painting, just a wipe over with a damp cloth usually restores them to “as new” condition. 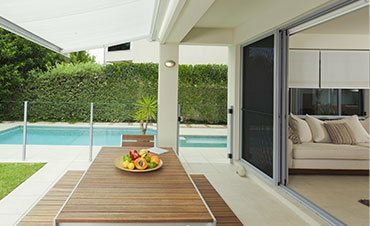 Perfectly suited to both traditional and contemporary designed homes, aluminium windows and doors are an ideal functional and aesthetic building product to enhance the use of light and space, which is the hallmark of modern Australian architecture. The corners of our aluminium joinery are mechanically fixed for maximum strength and rigidity, sealed to prevent water penetration and fastened in place with high grade stainless screws. 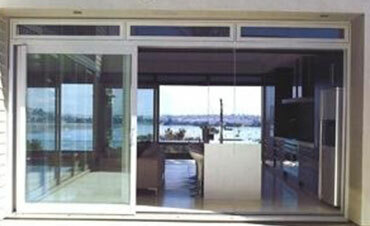 Our aluminium windows are manufactured to the requirements of Australian Standard AS2047-1999 and AS2047-2001. 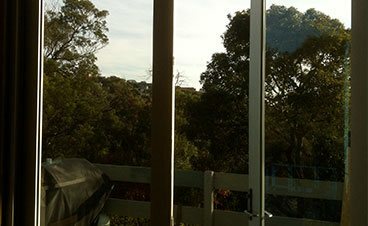 We provide the AMP aluminium section for our windows and doors combining the strength and substance of a 55mm aluminium frame system with a clean, flat profile design which blends easily with a range of architectural styles. 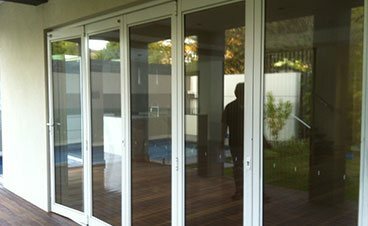 Internal timber liners which are positioned around the inside of an aluminium window. We can provide customised superior quality Kiln Dried Hardwood for our reveals.